I didn’t have that much time last week, but here is the first little update for the editor. I have added a search bar, it speaks for itself; you can search nodes and functions to add/use them. 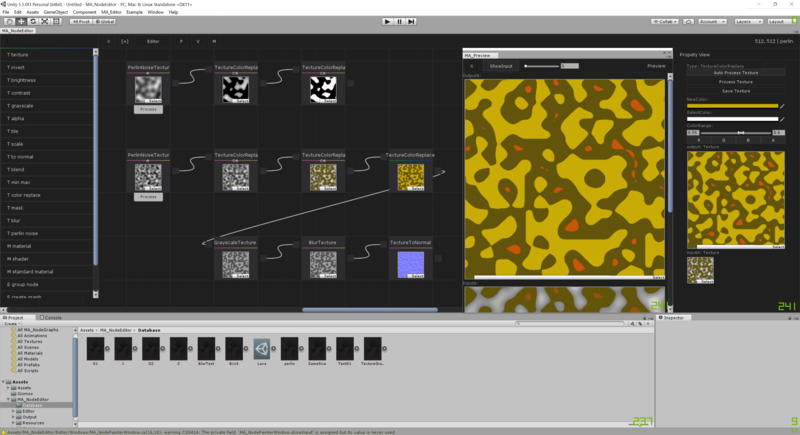 And the first noise/procedural generator node, it’s a simple perlin noise generator and I say simple because I have used the Unity build in perlin noise generator. But it is a good test and I’m looking forward to add more kind of these nodes. It is a very interesting topic.